Although we may have made it through Thanksgiving with our loved ones (and maybe even loved it! 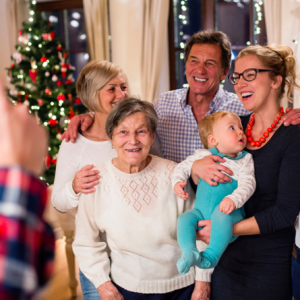 ), there is still time to consider one’s needs in navigating the holiday season with extended family. 1 Start with some value clarification: this means suspending the “shoulds” of how you spend time with family and, instead, clarifying for yourself (and possibly with your partner) how you want or need to spend this time. Take some time to identify what is important to you and then navigate the situations(s) with your family according to these priorities. 2 Consider what time frames will support your having the best time possible with family. This may mean making sure you have cleared some calendar time for a long runway or it may, conversely, mean making sure folks know that you will be arriving and leaving at designated times to help you manage. Either way, the purpose of these boundaries are to support your time together. 3 If you have family members who are particularly difficult for you, take a few moments to determine why they are so hard for you. Do they cross certain boundaries of yours? Do you struggle with feeling responsible for their emotional outbursts? Next, make a plan for how you can navigate these concerns; remembering that you can only control your behaviors. You can communicate with others, but you cannot control them. 4 If you have a loved one who continually crosses the line with you (maybe even after you have spoken with them about your lines), consider making an adjustment on your part. Although you cannot make others respect your boundaries, you can make adjustments to keep yourself physically and emotionally safe if you need to do so. 5 Celebrate the things you are thankful for! If a loved one shows that they heard a request of yours, or explicitly made an adjustment after you have asked them to do so, notice out loud! Gratitude is something to share as much as possible; all year long! !